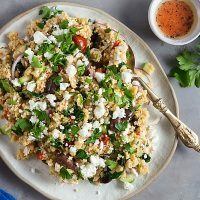 Millet and Chicken Greek Salad (Gluten-Free) | Healthy. Delicious. 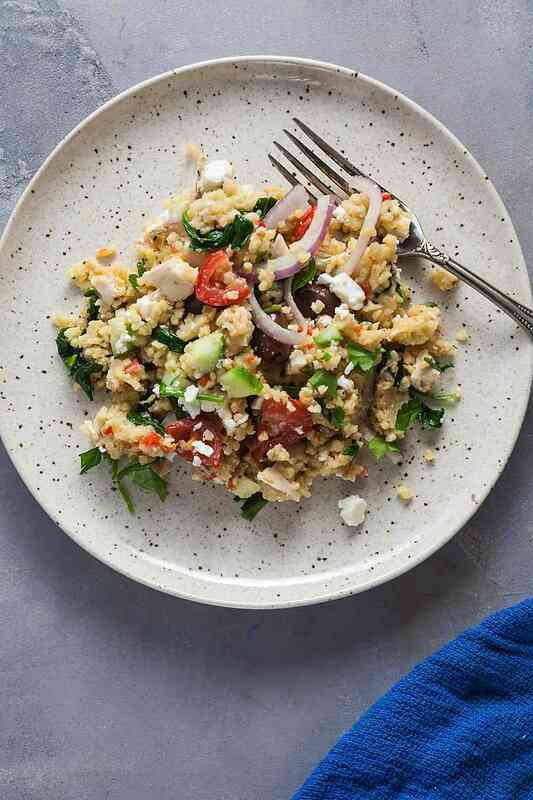 Millet and Chicken Greek Salad from the Gluten-Free Instant Pot Cookbook is a tasty way to serve whole grains. This is great for meal prep lunches or as a side dish to bring along to summer pot lucks. *tap tap tap* Is this thing on? 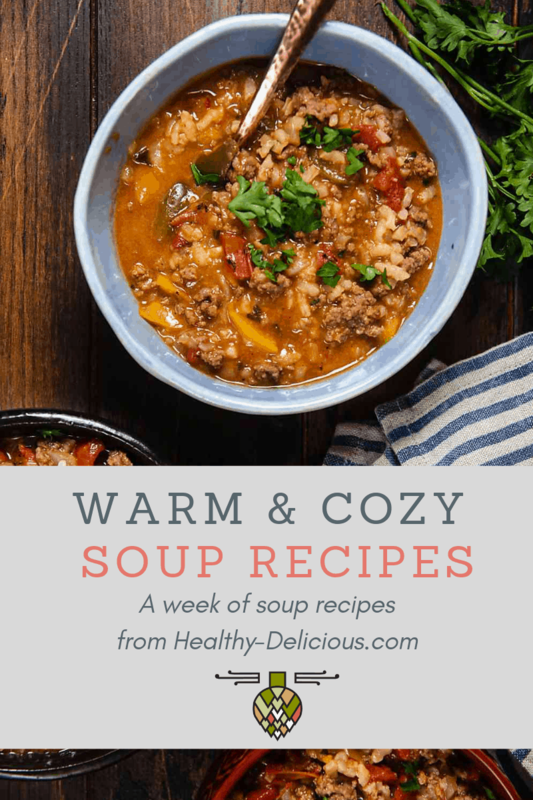 I feel like it’s been forever since I shared a recipe here, even though it’s only been a few weeks. Things have just been insanely busy. I have a bunch of new recipes that I can’t wait to share with you – I just need to find the energy to type them up! 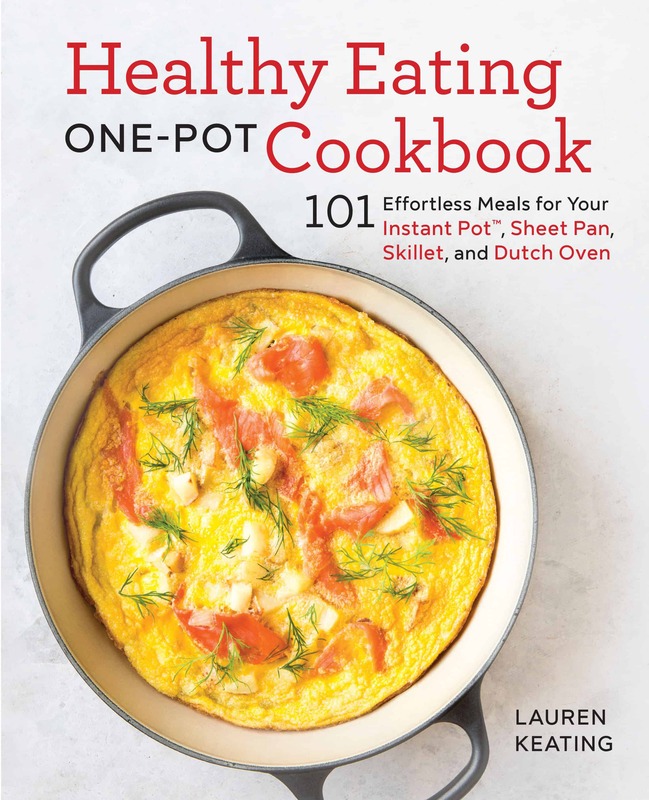 Since I’ve last checked in, my cookbook officially came out! You can buy it on Amazon or Barnes and Noble. I’ve been busy promoting my own book, but a few of my friends have published books recently, too! 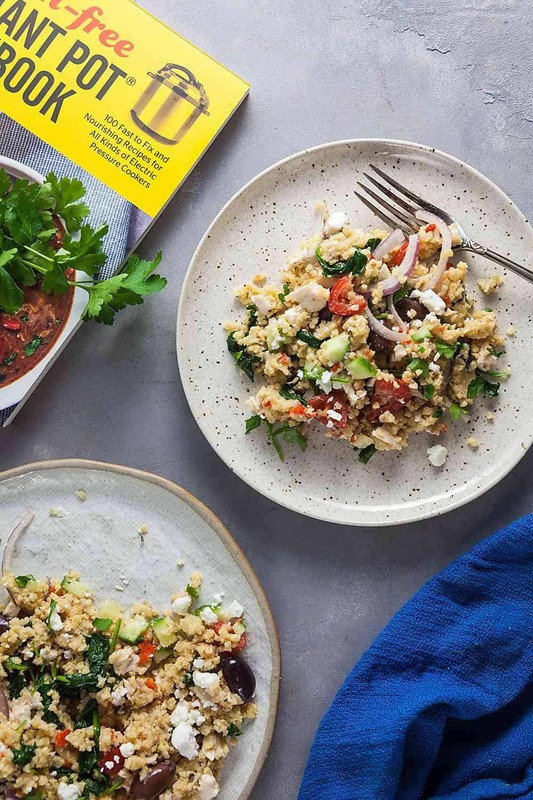 Today I’m sharing a Millet and Chicken Greek Salad from The Gluten-Free Instant Pot Cookbook, written by Jane Bonacci (The Heritage Cook). This book has sooooo many recipes and they all look delicious. This millet salad immediately caught my eye. I love Greek flavors, and this recipe hits all the right notes. Kalamata olives and feta make just about anything taste awesome, am I right? This salad is made with millet, a whole grain that I absolutely love. Millet is harvested from seeded grasses that traditionally grow in Asia and Africa. It can be ground into flour, puffed into a cereal, or eaten as porridge. 1 cup of cooked millet has about 200 calories, 6 grams of protein, and 2 grams of fiber. 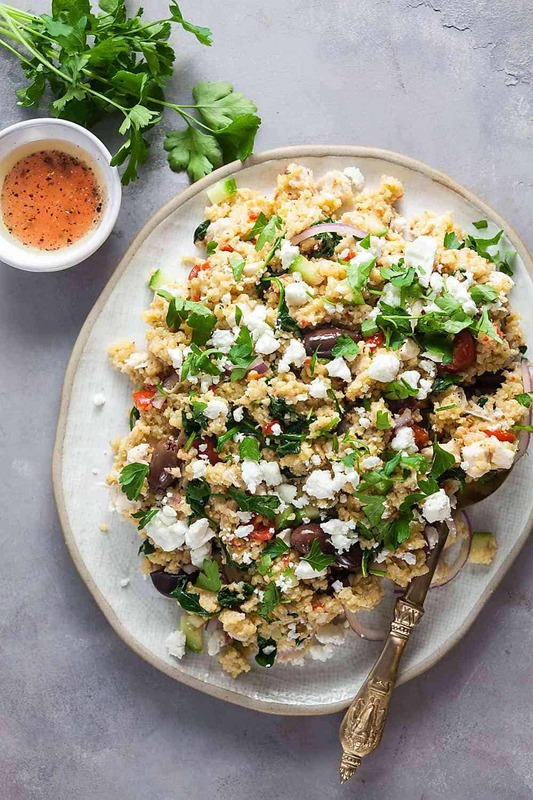 To me, millet tastes like a dead-ringer for couscous – I usually forget that I’m actually eating a whole grain when I make it. It’s great as a side dish or made into an easy grain salad like this one. I had never cooked millet in an instant pot before, but I love how it came out. It only takes about 15 minutes and is super moist and flavorful. I also love using puffed millet to add a light and airy element when I make homemade granola bars. This millet salad is so easy to make! Start by sauteeing some onion and red bell pepper. Next, you’ll add the millet, chicken stock, or oregano and cook under high pressure for 9 minutes. This gives you plenty of time to prepare the remaining ingredients and mix up a quick lemon vinaigrette that gives this salad a ton of flavor. When the millet is finished cooking, you’ll stir in baby spinach so it can wilt. Then, let everything cool down before stirring in cucumbers, tomatoes, olives, and sliced onion and topping it all off with feta and parsley and that delicious dressing. The recipe calls for cooked chicken, which makes it a great way to repurpose leftovers. There’s a recipe for classic “baked” chicken made in the instant pot that would be perfect, but I had leftover buttermilk roast chicken in the fridge that I used. 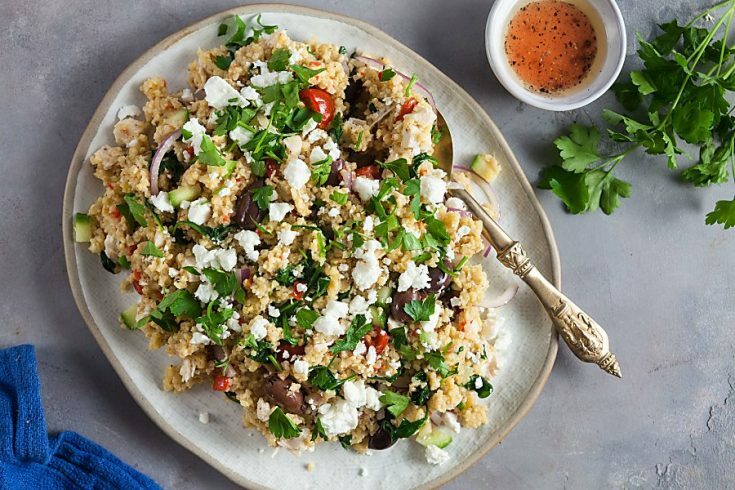 Millet is a gluten-free grain that's similar to couscous or quinoa, with a touch of nuttiness in every bite. 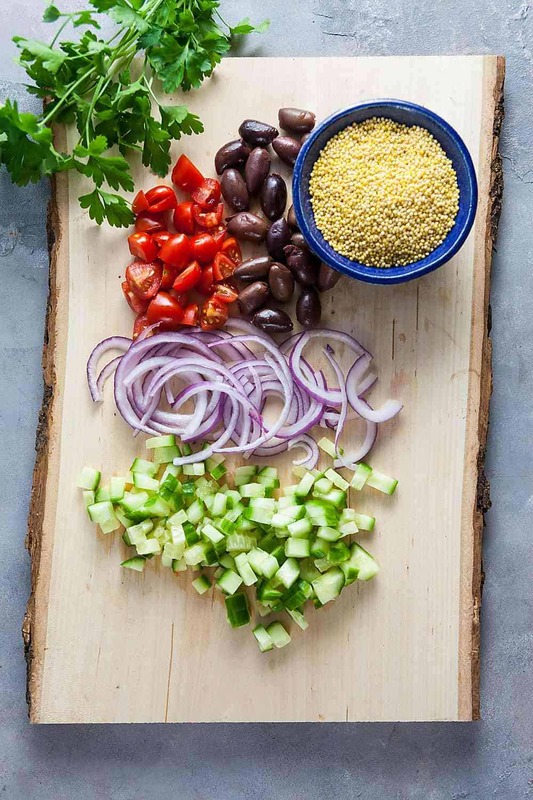 When combined with these Greek-inspired ingredients, it makes a delightful salad that wakes up your tastebuds and is perfect for summer picnics or potlucks all year long. Press Sauté and heat the vegetable oil in the inner pot of your electric pressure cooker. When it is shimmering, add the chopped onion and bell pepper and cook, stirring, for 4 minutes, or until the onion is slightly softened. Add the millet. Sprinkle with the salt, pepper, and oregano, then pour in the water and stock, stirring to be sure nothing is stuck to the bottom of the pot. Press Cancel. Close and lock the lid, making sure the steam release handle is in the sealing position. Cook on high pressure for 9 minutes. When it is finished, release the pressure naturally for 8 minutes, then turn the steam release handle to venting, releasing any remaining steam. Unlock the lid and open it carefully. Remove the lid, rake the grains with a fork, and transfer to a large bowl. Add the spinach to the bowl, stir it into the millet, and let the steam wilt the greens. Set aside to cool to room temperature, tossing occasionally with forks to help keep the millet from clumping. When cooled, stir in the cucumber, olives, tomatoes, red onion, and chicken. In a small bowl, whisk together the olive oil, lemon juice, vinegar, salt, and pepper. Pour half the dressing over the salad, tossing to coat all the ingredients. Taste and adjust the seasonings; add the remaining dressing if desired and toss again. Sprinkle the parsley and feta over the top and serve.